Here I am again with the mozzarella and the mistakes. First, I did not follow the directions carefully. I was supposed to dissolve the citric acid in water and then add the cool milk. I added the citric acid as the milk was heating. I don’t know if that made a huge difference but I thought it worth mentioning. 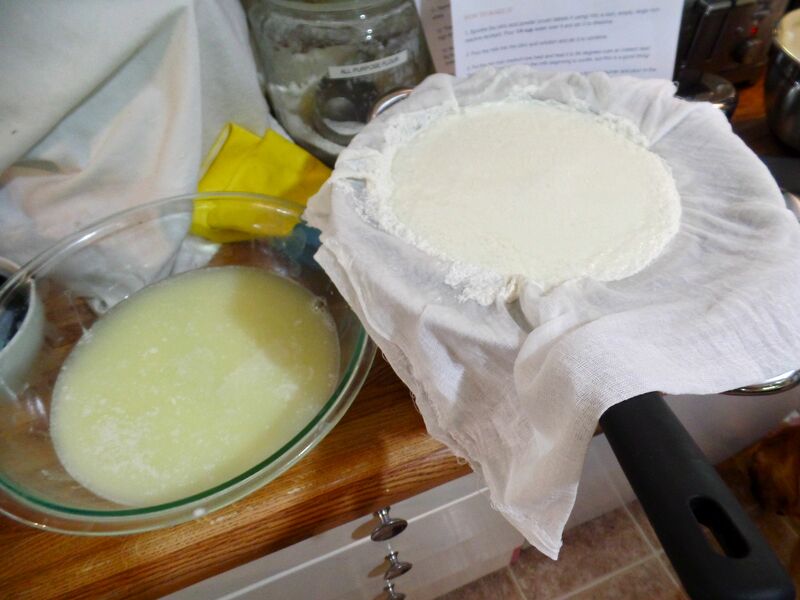 Then, I stirred the rennet too long and found out after that I was effectively cutting the curd too soon. 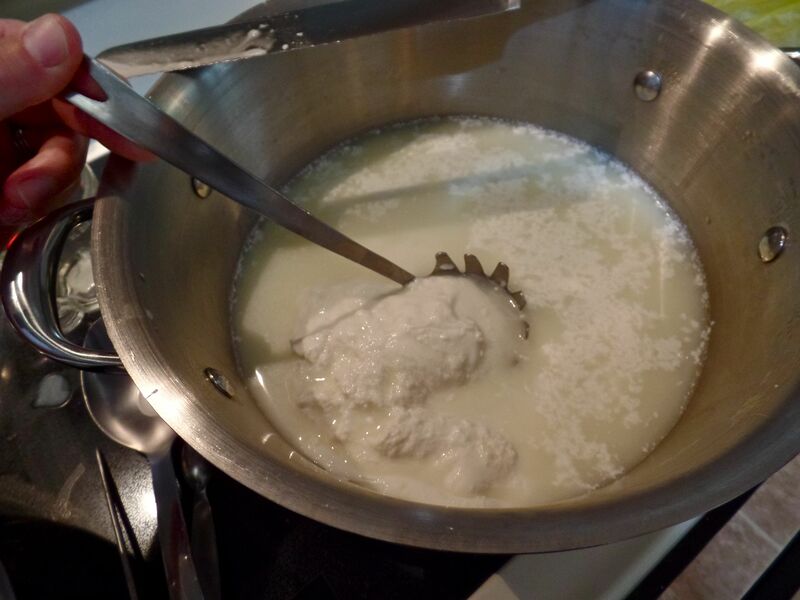 I googled it and found this helpful page and pictures: http://www.cheesemaking.com/store/pg/242-FAQ-Mozzarella.html It helped me determine that this happened because my milk was too acidic. It also guided me on how to continue and try to salvage it. And I did. It worked! I was so thrilled to have stretchy shiny cheese! I did lose a lot of the cream out of it, though, because my curds did not have the right structure to begin with but it felt like success to me. 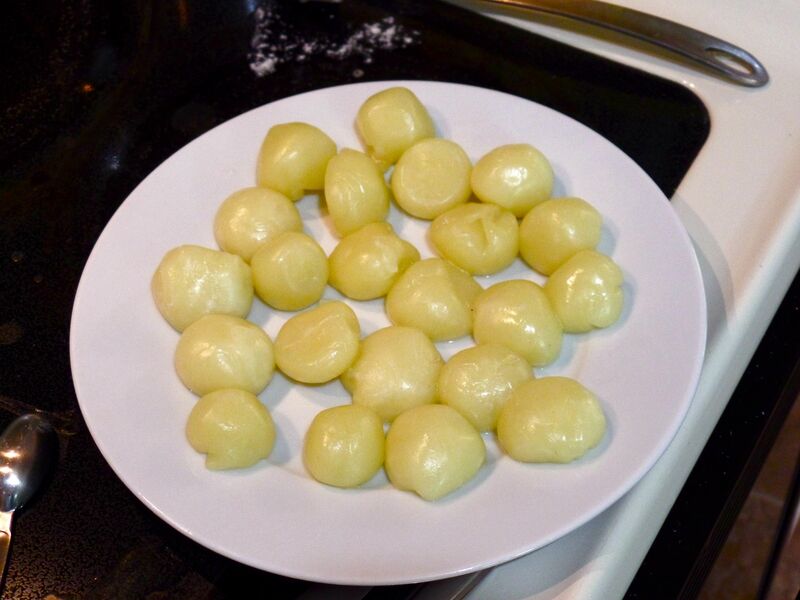 I formed it into little balls hoping to put them in a brine to have them keep longer. Upon further reading, however, I found that because I followed a 30 minute fresh mozzarella recipe it was not suited to brining. The last thing I did was to make ricotta from all the whey that was leftover from the cheese. Ricotta is incredibly easy. I just had to heat the whey to 200 degrees and strain it through butter muslin. I will definitely be trying mozzarella again. Next time I will very carefully only follow one recipe instead of going back and forth between a book and the internet. Reading all the way through the recipe before starting would be a great idea, too. This entry was posted in Food, Goats. Bookmark the permalink.